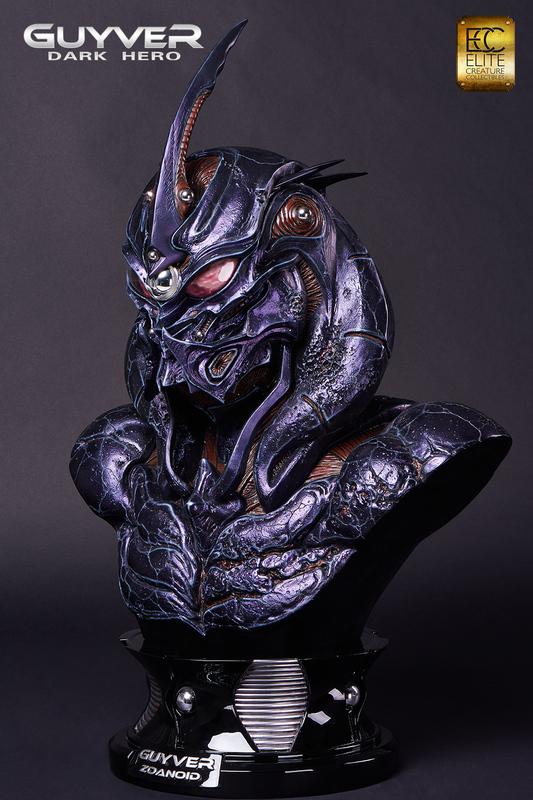 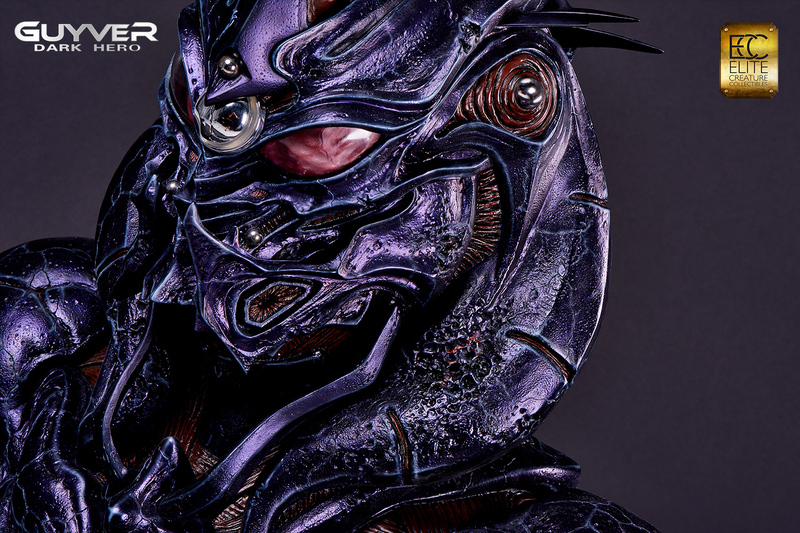 Elite Creature Collectibles is excited to announce our 1:1 scale Guyver Zoanoid bust from the movie Guyver: Dark Hero. 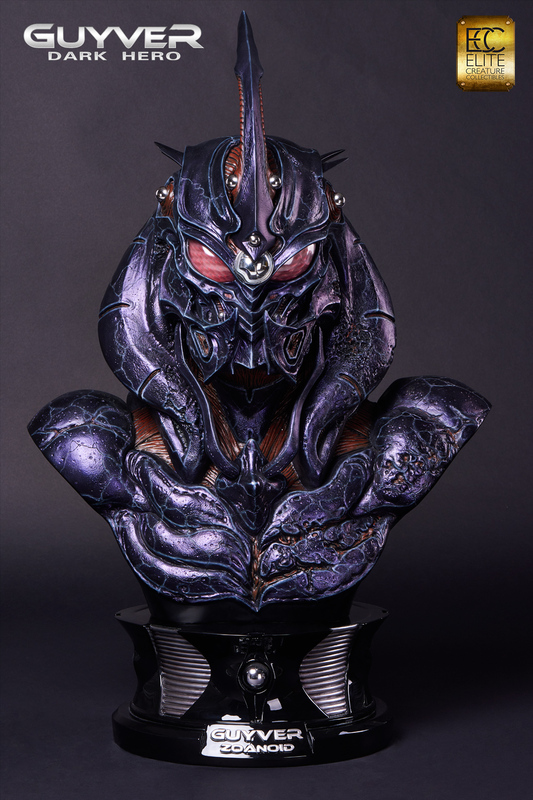 The character was designed by ECC Art Director Steve Wang and based on the Japanese manga series Bio Booster Armor Guyver created by Yoshiki Takaya. 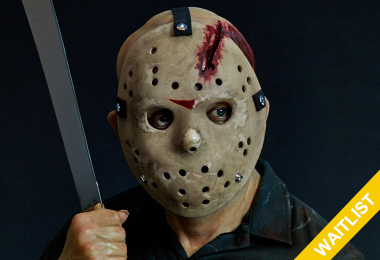 The film was also directed by Steve Wang. 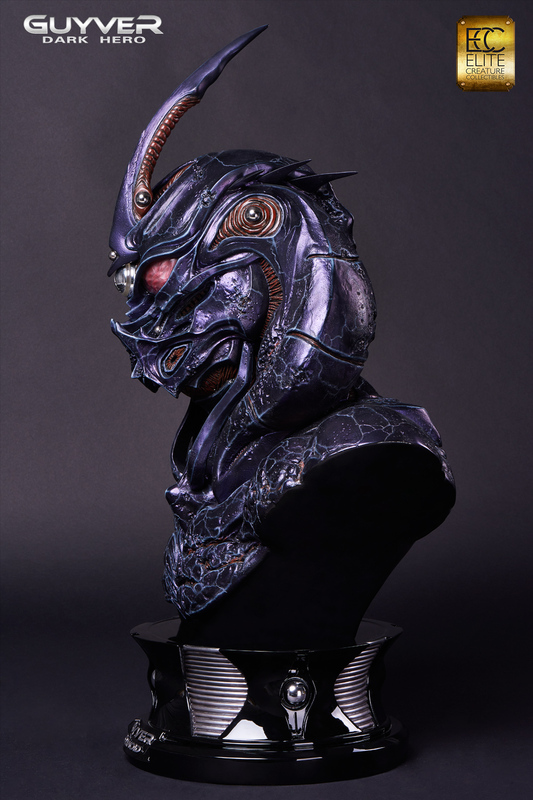 In the movie, Crane reveals that he merged with the second Guyver unit and transforms into the Guyver Zoanoid, which is faster and stronger. 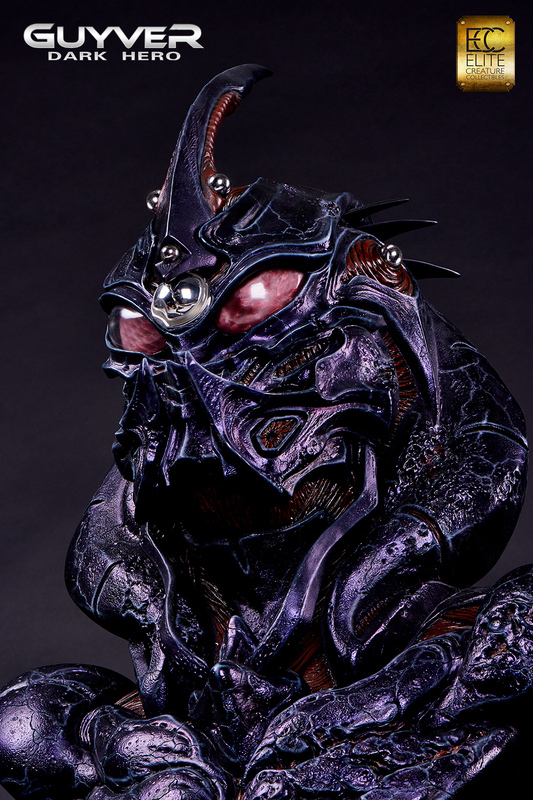 But the unit was defective, causing certain deformities in his appearance. 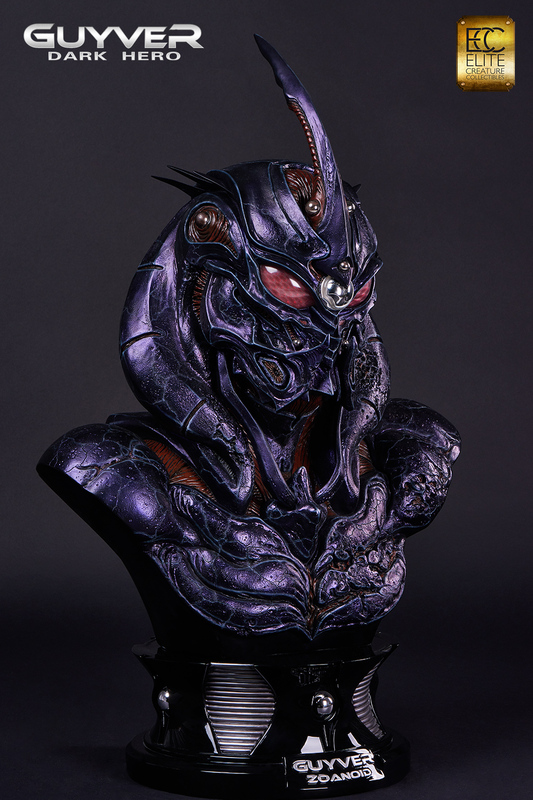 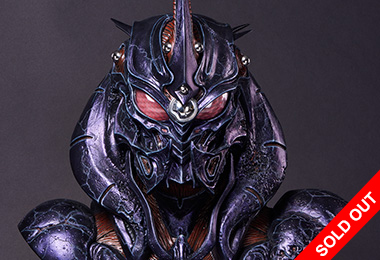 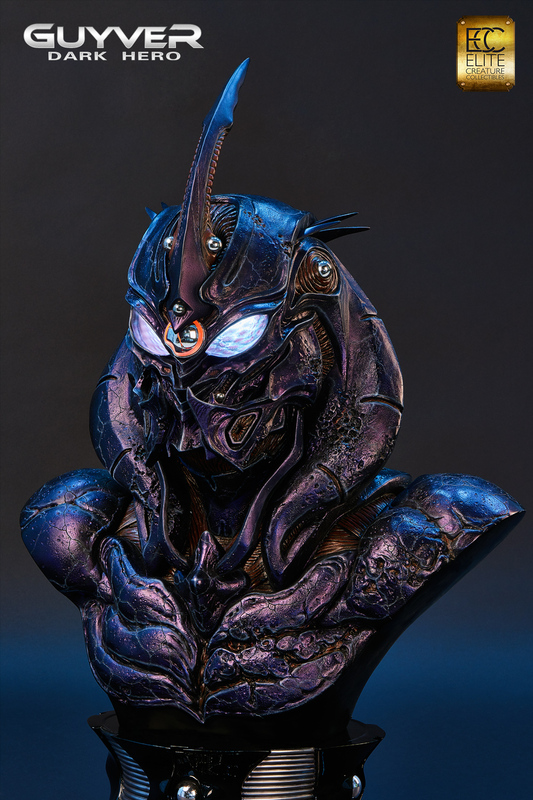 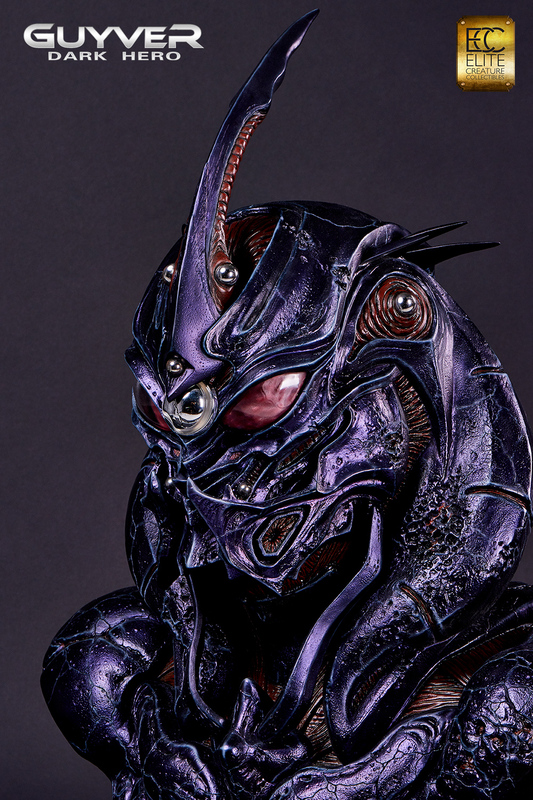 Taken from the original movie molds, this intricately detailed Guyver Zoanoid bust stands an imposing 35 inches tall. 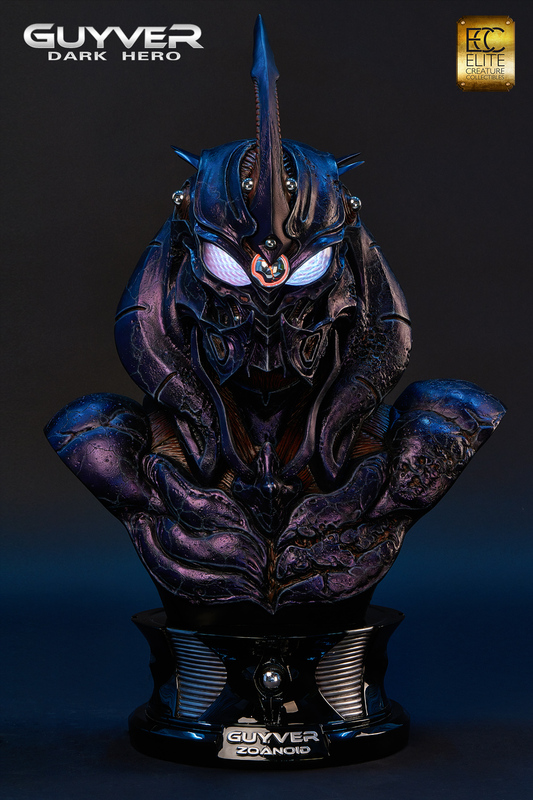 Constructed from heavy weight polystone, fiberglass, and high-tech holographic film, Each bust is individually hand painted to the finest detail. 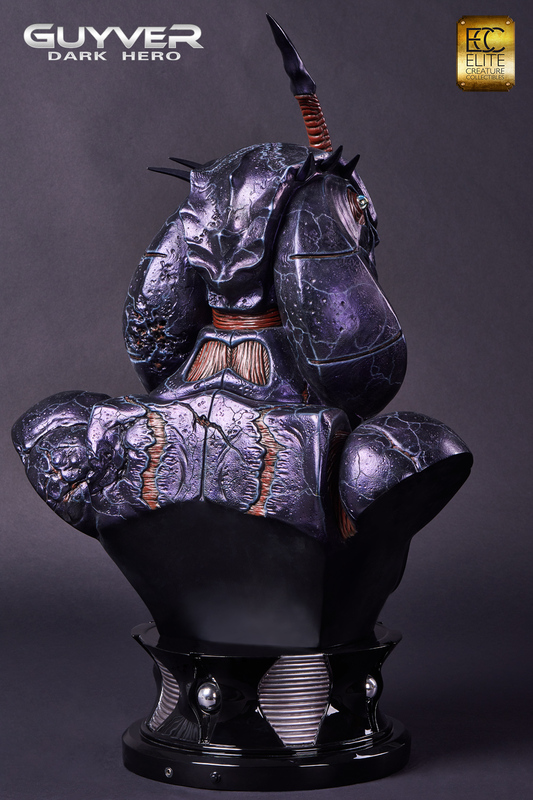 Approximately 34 inches in height. 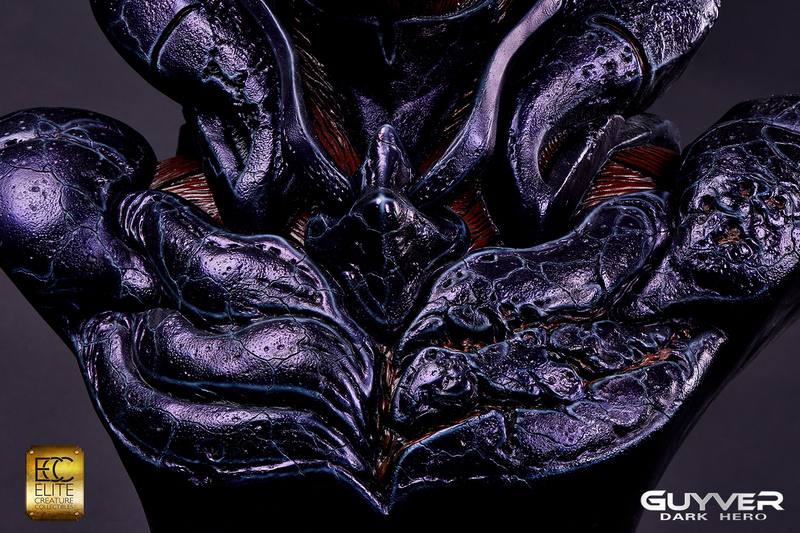 Approximately 14 inches in depth. 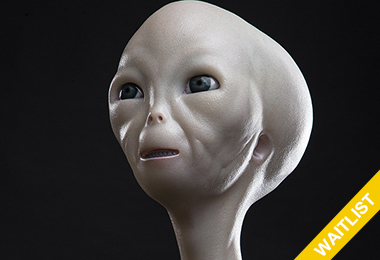 Estimated Shipping date: 2018 Q1. 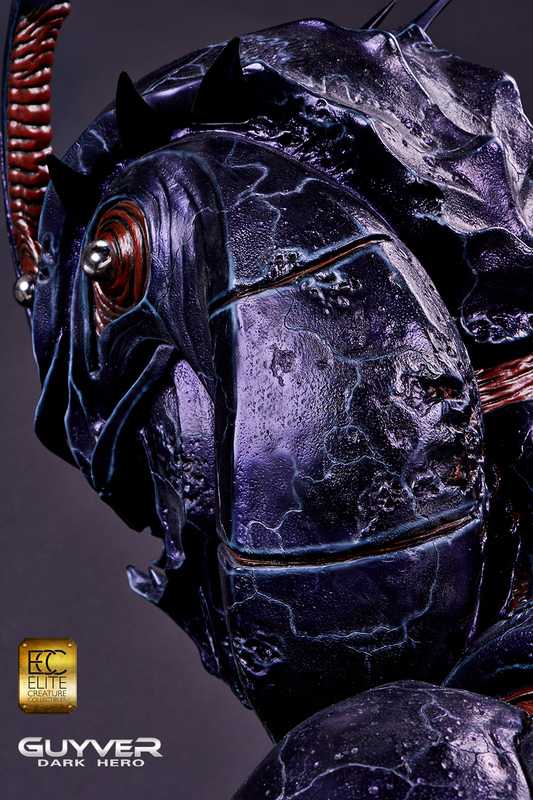 *IMPORTANT* Whether we reach our edition size or not, on the cutoff date of Dec 21st, the pre-order window will be permanently closed. 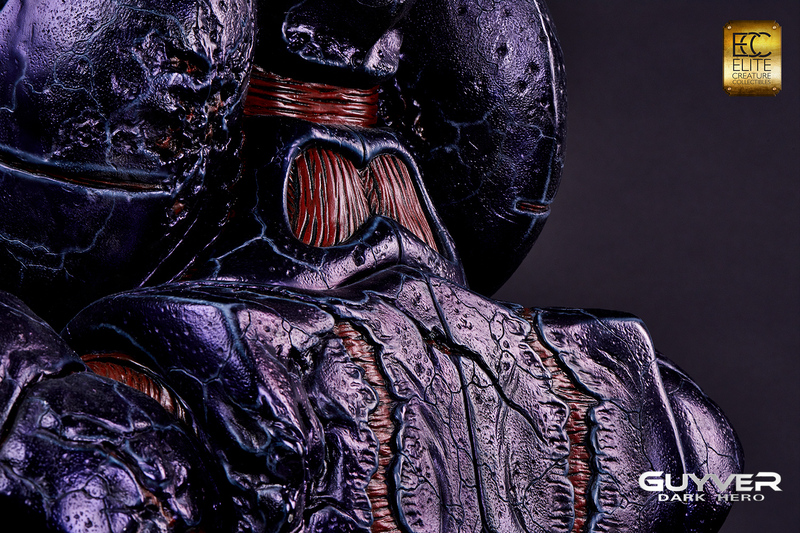 There will be no more editions made. 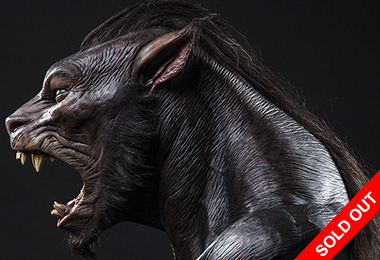 We will not do a second run, so don't miss out!